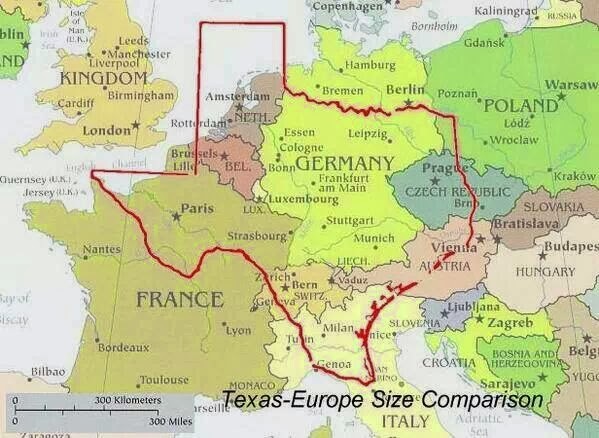 This is how big Texas is baby! That's my state! Proud to be a Texan! !